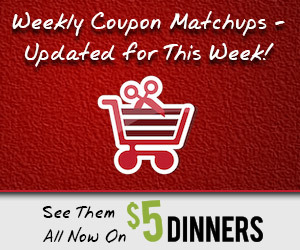 This is your weekly (and friendly) reminder to check out the latest coupon matchups for the following grocery stores, drugstores, and big box & warehouse stores like Target and Costco…click on each link to find the current deals, coupon matchups and extra savings offers! Head on over and get the latest deals, and enjoy watching as you shave dollars and dollars off your grocery budget this week! Our new Favado grocery savings app is now available! Get access to coupon matchups and store deals for all your favorite stores in your local area for free! You’ll be able to compare prices across local stores, quickly find all the coupons that are available for the items that are on sale, build your shopping list around the hottest sales and best deals and more! Sign up for a free Favado account and then download for free in the iTunes store for iPhone or Google Play store for Android.